The best part about cooking a whole turkey? 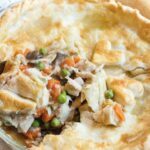 The fact that you can make a homemade stock and use some of the meat for this Leftover Turkey Pot Pie From Scratch! Anyone else also in it for the leftovers? Yes yes the big meal of the day is lovely, yadda yadda, but that turkey cranberry sandwich the next day, it’s just as delicious in my opinion. 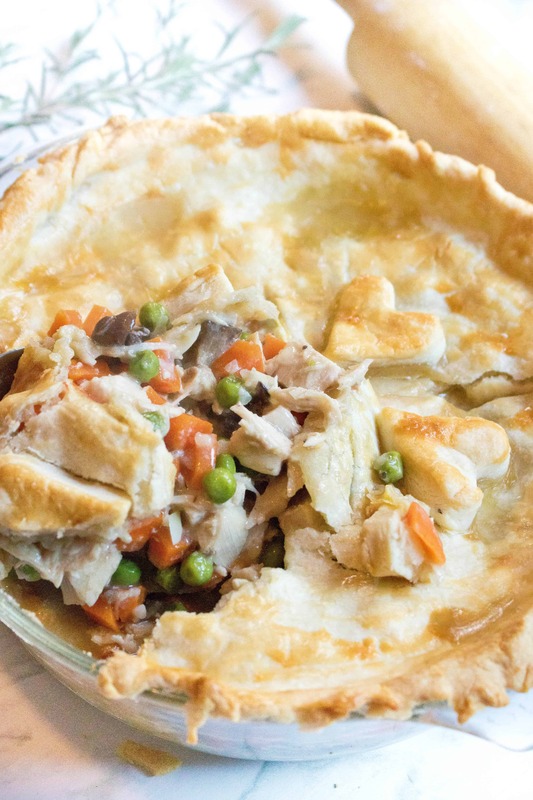 And this Leftover Turkey Pot Pie From Scratch, it’s our new go-to for turkey leftovers! First step, the stock. 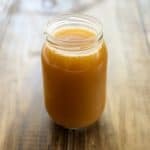 And if you’re not making turkey stock with your turkey carcass, you have no idea what you’re missing. To make the stock we just stripped the bird (mostly) and then left it right in the roasting pan and put it back in the fridge (thank goodness for a second on in the garage) still with all that flavor goodness on the bottom of the pan. 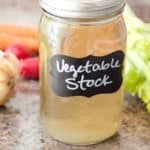 It makes the most amazingly rich, flavorful stock. And that’s really the key to this recipe. A killer stock. 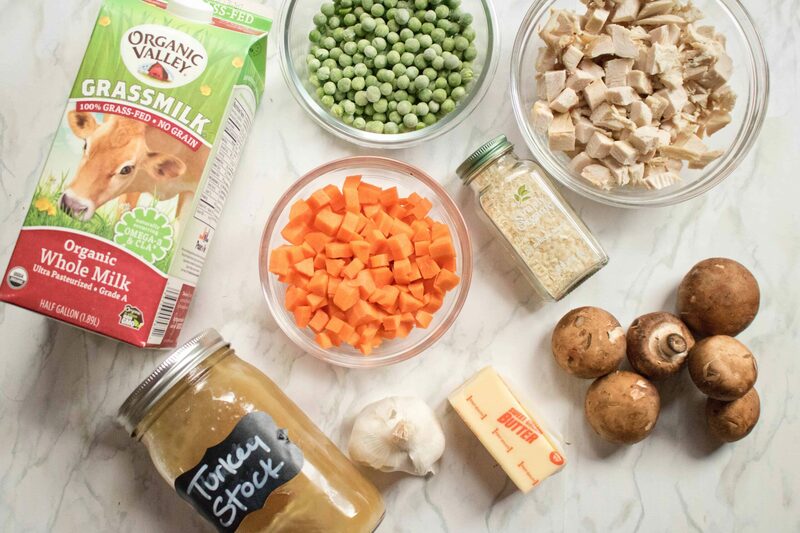 Even if it’s just a Chicken Stock From Scratch, you’re going to want something rich delicious. 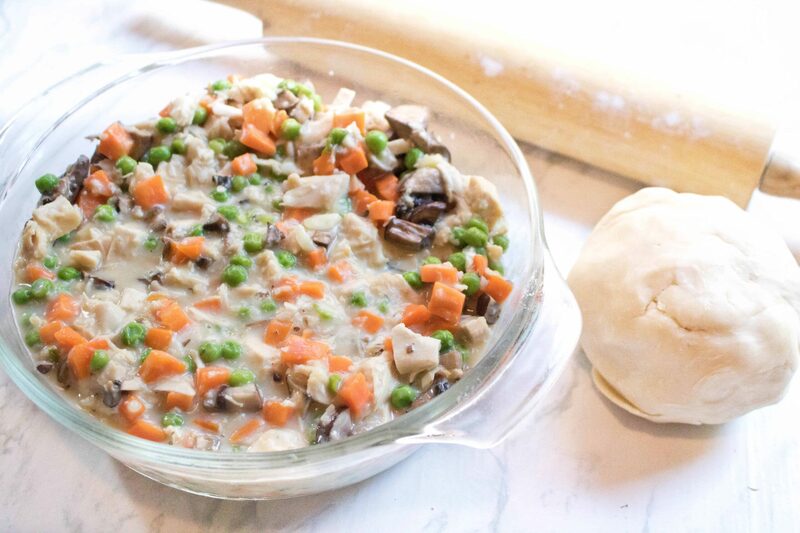 It’s the perfect base for some carrots, peas, mushrooms, and of course, turkey. We used mushrooms instead of corn because we had a bunch left over, and we used onion flakes instead of whole onion because well, we didn’t have any left. In true leftover pie action, go with whatcha got. 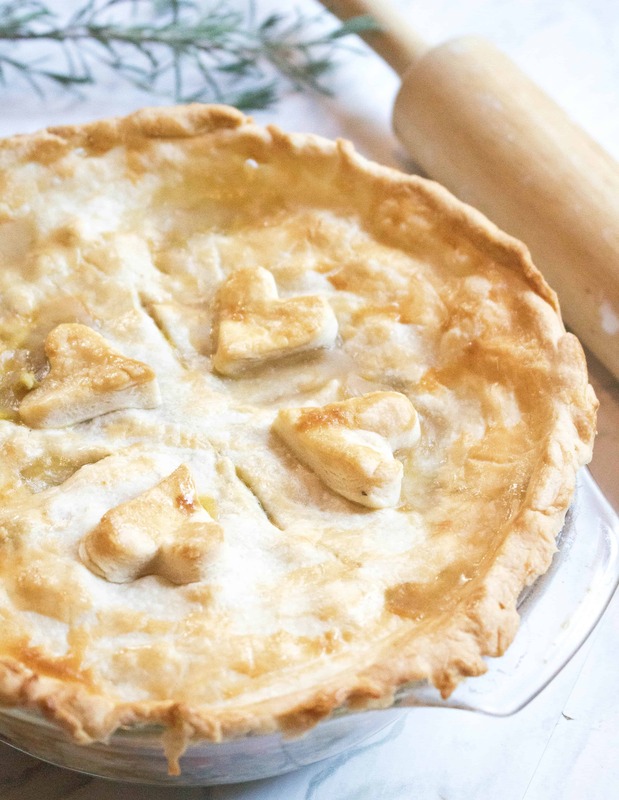 Now you’re also going to need a killer pie crust. 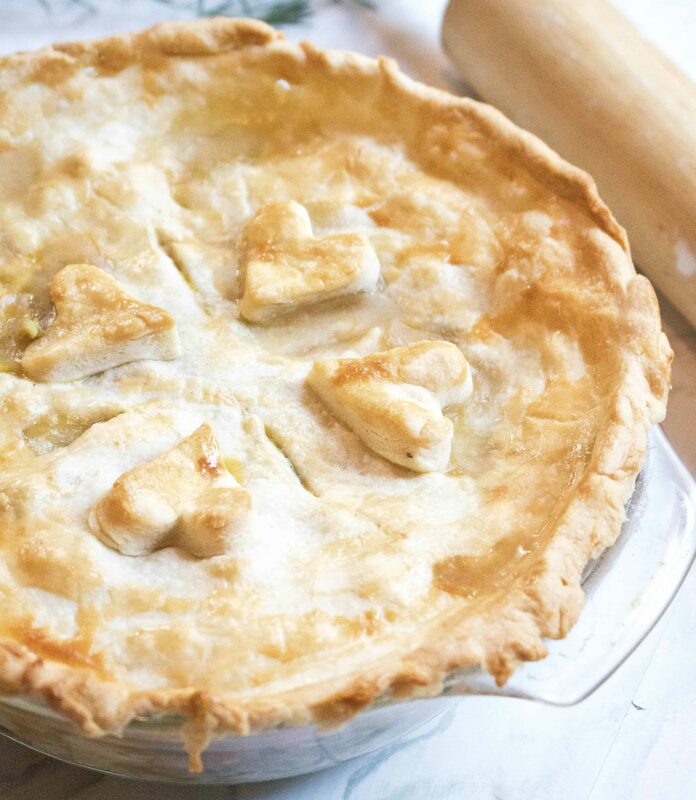 A buttery, flakey, savory pie crust that’ll be the perfect final love hug to your bowl of comfort. This crust is silky soft thanks to not only a ton of butter, but also shortening. My little M loved helping to shape it into a ball before it was popped in the fridge to chill. Meanwhile, in a large saute pan it’s a quick cook of your veggies, stock, and milk in a roux to make it nice and creamy. Into a deep dish or large pie pan and then just a roll of your pie crust to top that dish of love. A little egg wash and baked in the oven for 30 minute and it’s a Leftover Turkey Pot Pie of love! 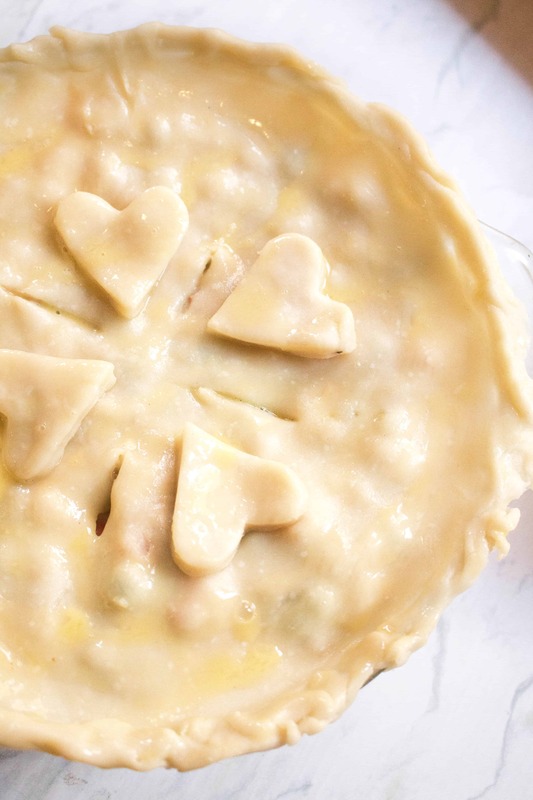 Truly, a big ol’ pie of leftover Thanksgiving love. That crust is sooo deliciously flaky and buttery and the filling is full of rich turkey flavor. 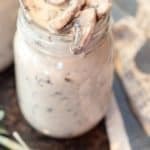 Don’t forget to tell me if you’ve made this recipe on Pinterest, Facebook, Instagram, or Twitter! Or leave a comment below – I love hearing from you! The best part about cooking a whole turkey? This Leftover Turkey Pot Pie From Scratch! 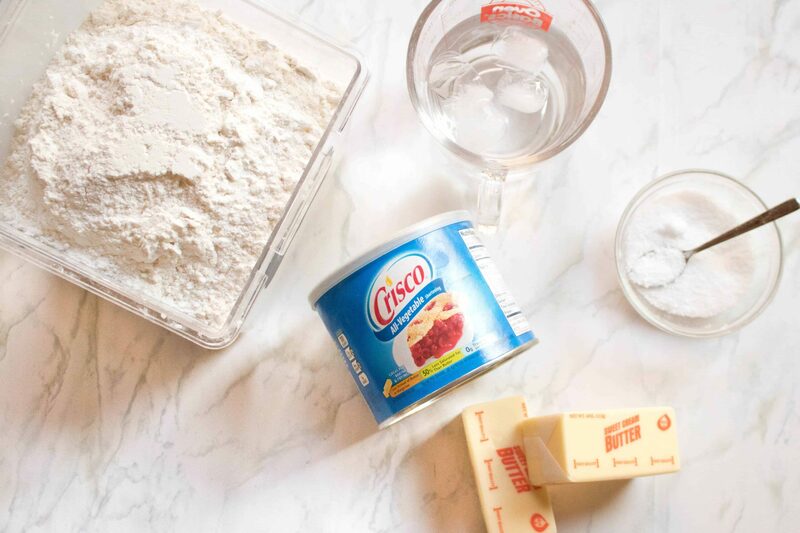 Make your pie dough. Take chilled butter, cube, place on plate and return to fridge. Measure out shortening and also put in fridge to chill. In a cup or small bowl, mix water with some ice. Meanwhile, add flour and salt in a food processor with the s-blade. Pulse a few times to mix. Take butter and shortening out of the fridge and add to food processor. It's very important that they are chilled! Pulse until combined and butter is about pea sized. Then, while running, add tablespoons of water from your ice water one at a time until a dough forms. On a floured surface, roll your dough into a ball, wrap in plastic wrap and put back in fridge for at least 30 minutes. Pre-heat oven to 400 degrees and place rack in center. Meanwhile, heat a large, deep saute pan with butter. Add garlic and onion (if using whole onion not flakes, if using flakes, wait) with carrots and peas and mushrooms. Add flour and mix well until flour begins to brown. Then add turkey stock and milk, whisking as you add until it begins to thicken. Once all combined, add in turkey and mix well. Season with salt and pepper as needed. Your flavor here will depend on the flavor/richness of your stock. Optional additions: 1/2 - 1 teaspoon rubbed sage, 1/2-1 teaspoon fresh minced or dried thyme. In a 1 1/2 quart casserole dish or pie pan (about a 10 in X 2 in pan) add your turkey mixture and set aside. Remove dough from fridge. 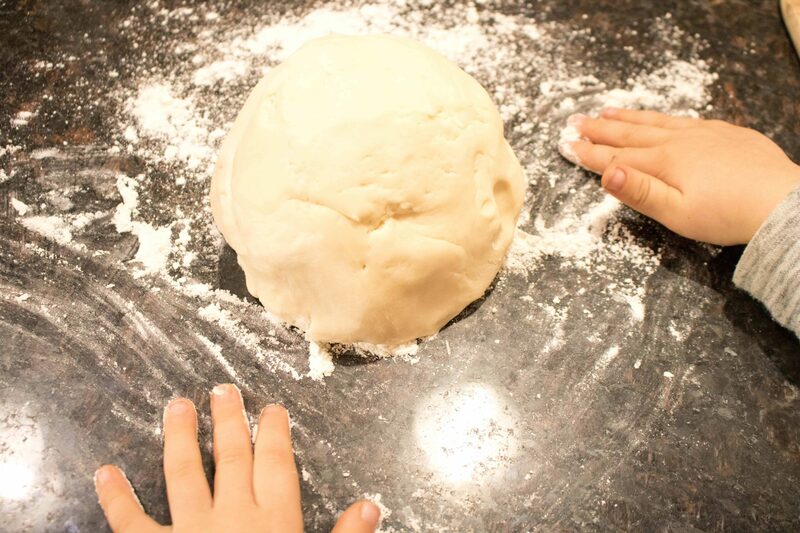 Roll out dough until 1/4 - 1/2 inch thick round and gently place over the top of your dish. Trim excess dough from the edges just below the lip of the pan edge and pinch edges around. With excess dough add addition cut outs, if desired, and with a sharp knife cut cut 4 small vent holes in the top of the pie. With a pastry brush, brush the top of the pie with egg wash.
Bake for 25-30 minutes or until crust is golden. Cool for 5 minutes and then enjoy! Yum, this looks delicious!! How nice that you have your husband’s best friend over, that is lovely! I can’t wait to make this – I am drooling a little bit too! 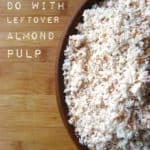 This sounds like a great idea to use the leftovers. The pie looks amazing. 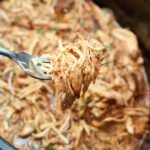 I am a huge advocate of reusing the food and creating new out of it. Yes! Reusing and creating new is the best! 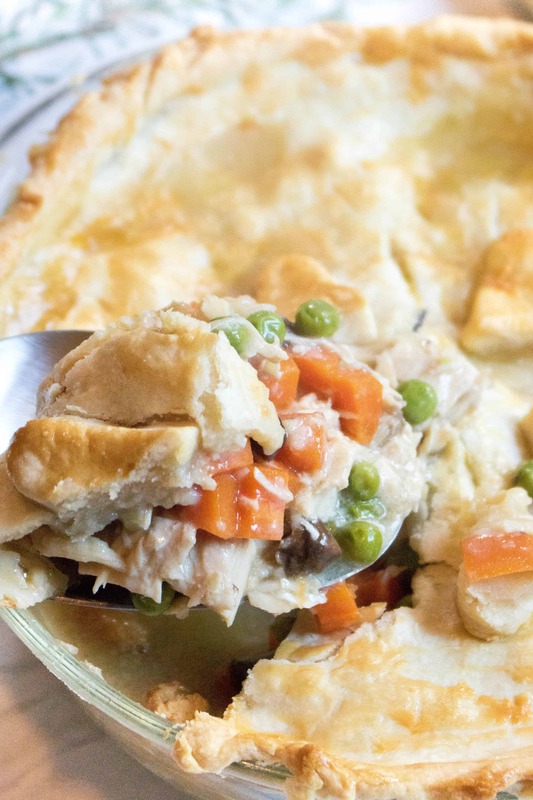 Leftover Turkey Pot Pie From Scratch – what a great idea! 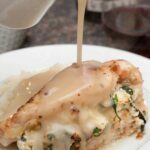 This is a super recipe and perfect comfort food now that the cooler nights are with us. Don’t I love pot pies?? O yes I do. This is a very tasty one made with left over Turkey. Thanks for another thanksgiving left over Turkey.